This statistic shows the wealth distribution in the United States in 2016 based on family data. 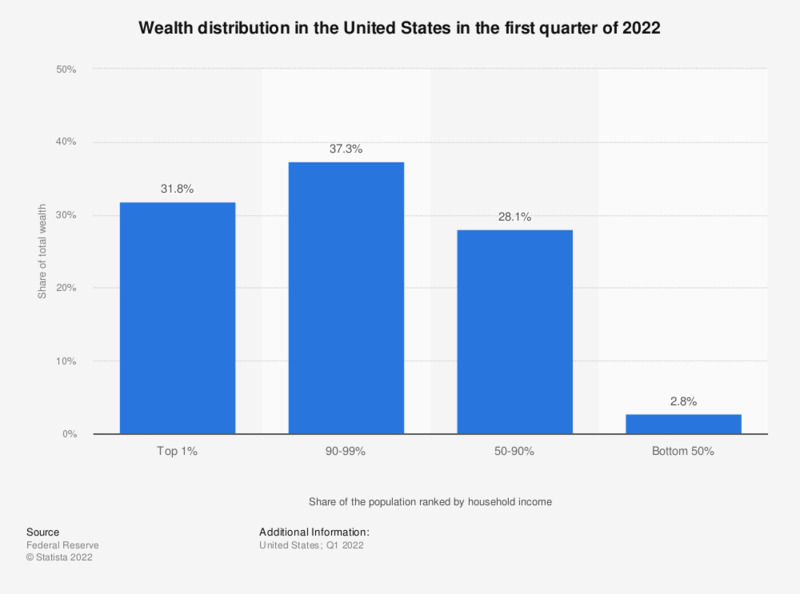 The distribution indicates that the lower-income 50 percent of the American population owned about 1.2 percent of the total wealth, while the 1 percent top-earners were in possession of about 38.6 percent of the wealth. The rising wealth inequality in the U.S. has become a growing concern among the public and a common theme in political discourse. In 2018, a majority of people worldwide owned less than 10,000 U.S. dollars, while 436 million owned 100,000 to 1 million dollars.